I am not the only market observer who has come to this conclusion. This year was supposed to be the bottom for the housing market and 2012 was supposed to mark the turnaround. Really? Is that on the authority of realtors who call the bottom every year? Nobody with any credibility was calling the bottom in 2012, and anyone who did no longer has any credibility. In reality, even the improvements sound like bad news, and some forecasters are saying we'll have another year of gloom before the clouds break. Yes, the forecasters who have a clue what's really going on are looking at the buildup of inventory, weak sales, increasing delinquencies and forecasting continued falling prices. While it's true that price recovery is only one measure of the health of the housing market, it is the only one most loan owners care about. Sales volumes will likely increase in 2012, but that is going to come from investors buying low-priced houses. American home values are likely to shed $681 billion this year, according to Zillow. That's better than the $1.1 trillion lost in 2010, but hardly worth breaking out the bubbly. In a nutshell, that's the problem with the housing market today. Even the good news is relative, and a true recovery is still at least a few quarters away. “[T]he unabsorbed pool of housing supply, dragging levels of consumer confidence, high unemployment and negative equity will continue to put downward pressure on the housing market, pushing our expectation for a potential recovery into late 2012 or early 2013,” Stan Humphries, chief economist at real estate research company Zillow Inc., said in a statement. Data company CoreLogic estimates there is a “shadow inventory” of 1.6 million homes, which is the biggest drag on prices. Basically, supply of motivated sellers is going to overwhelm the weakened demand. No matter how you describe it, aggressive supply meeting weak demand results in lower prices. “Foreclosures lead to very motivated sellers, which will have a destabilizing effect on prices,” said Nicolas Retsinas, professor of real estate at Harvard Business School. The sluggish pace of foreclosures — hampered by the robo-signing scandal, ongoing investigations and litigation — have stalled the movement of those homes back into the market. None of the market props or processing delays have helped the market bottom. In fact, these circumstances have done nothing other than delay the bottom. Data on the number of sales is more promising. In November, sales of single-family homes hit a seven-month high. Sales rose 1.6 percent for the month, and 9.8 percent over the past 12 months. But these figures are climbing back from abysmal depths; the National Association of Realtors thjs week lowered its figures on the number of homes sold between 2007 and 2010 by nearly 3 million, down to 17.7 million. The silver lining in the NAr revisions is that sales comparisons now look better. Volume is improving which is to be expected with lower prices. Further increases in sales volumes are required to clear out the supply. “With a highly leveraged housing bust, you haven't seen that increase in residential investment in spite of low interest rates,” said Ted Gayer, a senior fellow at Brookings Institution. Slack demand for existing homes also means fewer buyers for new homes. Home building has traditionally been the tow truck that pulls the economy out of the mud, but with so many empty houses and so few people moving into them, that's not the case this time around. With an entire industry sitting on the sidelines, our economy continues to suffer. Employment in homebuilding and related industries is not improving much. Even though interest rates are at record lows, a tight credit market is keeping people who do want to buy on the sidelines, said Retsinas. Lower rates of household formation — fewer immigrants and more adult children still living with their parents — also quash demand. The tight credit meme is consistently reported incorrectly. While it's true that people who want to buy can't, it's only the people who want to buy who aren't qualified that are being denied. They should be denied credit. They won't pay it back. We have credit standards to establish who will repay loans, not to see who wants a home. Despite these headwinds, there are glimmers of hope. Have you noticed that hope only comes in glimmers? The light at the end of the tunnel is not very clear or bright. Kolko said an uptick in multifamily construction and remodeling, while not as strong as the traditional home building engine, will still provide construction-sector jobs in the near term. Longer term, more multifamily dwellings on the market will alleviate the increase in rents happening now, potentially giving people more breathing room to save for a home purchase in the future. I can assure you, the people developing multifamily right now are not anticipating a weakening in rents. Further, weakening rents will keep more buyers on the sidelines because it impacts rental parity. Without the pressure of increasing rent, many potential buyers will simply wait and continue to rent. And a few parts of the country might catch a break next year. Kolko said California's Silicon Valley, along with much of Texas and New England, are starting to recover due to their employment levels or because the housing bubble wasn't as pronounced there in the first place. The rest of us will just have to hope for better luck in '13. The housing bubble was not as pronounced in California's Silicon Valley? LOL! Failure to deflate is not a sign that prices didn't bubble. The housing market will likely not bottom in 2012. Fall 2012 or the winter of 2013 perhaps, but the spring rally of 2012 — if we get one — will not mark the bottom of the housing bust. I have written my last real estate post for the Irvine Housing Blog. My last four posts will not focus on real estate. If reading about my feelings of community and experiences growing up interests you, please stop by over the next four days. If not, it was a pleasure serving you over the last five years. I hope to see you on my new blog the OC Housing News. This entry was posted in Library, News on December 27, 2011 by IrvineRenter. 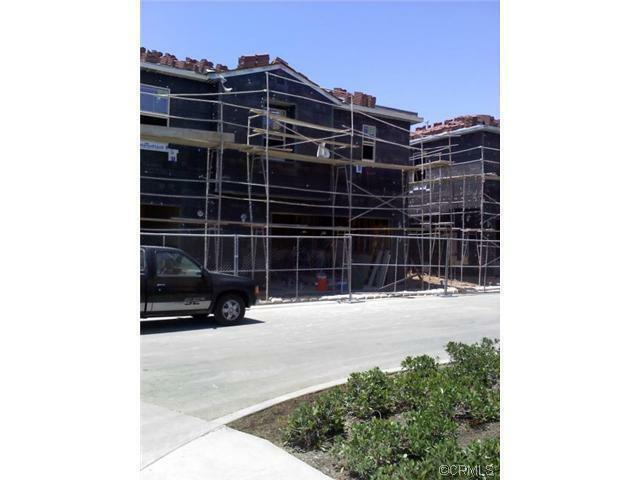 In Los Angeles and Orange Counties, the conforming loan limit dropped from $729,750 to $625,000 on October 1, 2011. Many market bulls claimed this would have no effect on sales. In November sales of houses with loans between $625,000 and $729,750 declined 84% as compared to last November. So much for having no impact. In other news, the falling prices are beginning to motivate some buyers as evidenced by the small increase in sales volume. Falling prices and increasing sales are prerequisite to forming a durable market bottom. The number of homes sold in Southern California rose modestly last month from both October and a year earlier as investors and first-time buyers targeted homes priced below $400,000. Prices, however, slipped in most areas, except in San Bernardino, Calif., where the median price rose 2.3% and nearby Riverside, where prices remained stable, according to San Diego real estate information firm DataQuick. How do prices slip? It makes it all sound very minor, doesn't it. Prices have been dropping ever since the tax credit expired at rates similar to the worst of the crash in 2008. A total of 16,884 new and resale houses and condos sold in Los Angeles, Riverside, San Diego, Ventura, San Bernardino and Orange counties in November, up 0.3% from October and up 4.2% from November 2010. More often than not, sales have dropped between October and November and have fallen, on average, 8.4% between those two months since 1988, when DataQuick's statistics begin. Still, last month’s sales were 22.7% lower than the November average of 21,832 transactions since the record-keeping began. A small uptick is a start, but obviously, the market has a long way to go. The lack of a move-up market is paralyzing sales and forcing above-median home sellers to lower their prices to make a deal. Expect this trend to continue for at least a few more years. November existing-home/condo sales rose 5.8% from a year earlier, while new home sales fell 15.2% to the lowest level on record for a November. So much for a recovery in homebuilding. “Tis still the season to go bargain hunting — or at least that’s what the November home sales data suggest. The portion of homes sold to investors continued to hover near an all-time high,” said John Walsh, DataQuick president. Distressed property sales accounted for 51.3% of the Southland resale market last month, down from 52.3% in October and down from 53.4% a year earlier. Short sales, where the sale price fell short of what was owed on the property, made up just shy of 20% of Southland resales in November. With distressed sales making up 50% of the market, don't expect appreciation any time soon. Lower conforming loan limits that took effect Oct. 1 continued to impact the housing market. Lawmakers recently restored the higher limits, which vary by county, for FHA loans but not for mortgages guaranteed by Fannie Mae and Freddie Mac. In Los Angeles and Orange counties, where the conforming loan limit was lowered from $729,750 to $625,500, the number of homes sold with purchase loans in that range totaled 58 in November, down 44.2% from October and down 84.1% from a year earlier. The chart below (click to expand) shows homes sales and median prices changes in the Southern California markets tracked by DataQuick. Follow her on Twitter @communicatorKLC. 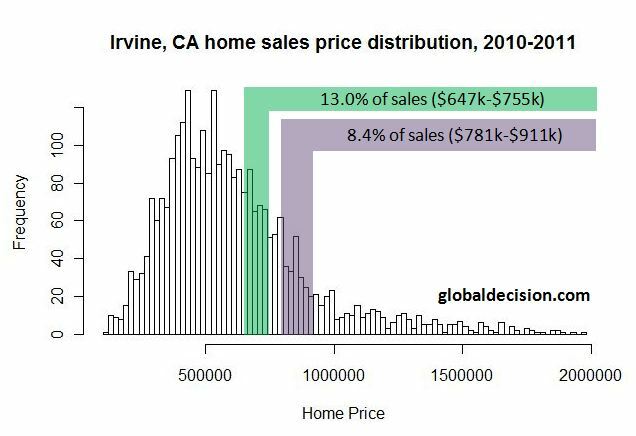 Back in August when the lowering of the conforming limit was all but certain, Jaysen Gillespie a the Global Decision Analytics blog took a look at its impact: New lower conforming loan limit impact on Irvine, CA. As Jaysen noted, 20% of the Irvine market is impacted by the lowered limits, and that band just experienced an 84% decline in loan origination. No wonder prices are falling in the $700,000 to $900,000 price range. New home sales in November fell to the lowest level recorded by DataQuick since it began keeping records in 1988. To ignite sales, KB Homes is lowering its price. Will it work? This is a brand new never been lived in home that is located in a beautiful master planned community. This beautiful 4 bedroom, 3 bathroom has many upgrades which include granite countertops and stainless steel appliances. This home is energy star qualified and comes with a 10 year limited warranty! This is a must see. This entry was posted in Library, News on December 19, 2011 by IrvineRenter.